So it started me on a mission to explore the ingredients generally used and find the best and purest of the ready made options. Much to my disappointment, I found that the popular ice cream / gelato outlets as well as the packaged store bought brands available in Australia use hideous additives that I try to avoid: carrageenan, vegetable gums, locust bean, maltodextrin, glucose syrup … nasty junk used to stabilize, emulsify, fluff up and increase shelf life, that have potential side effects over the long term: among them inflammation and intestinal irritation. This was even the case with the ‘organic’ brands I looked at. * Note: Kohu Road and does an organic vanilla ice cream without gums, but it’s very heavy on cream; too fatty for my liking. On my search, I found Luigi; and Italian ice cream expert who once created a small artisan ice cream company on the Sunshine Coast. Enter Luigi: Italian-born, forth generation, ice-cream-maker and founder of Gigi’s, Luigi Barosso was for a while producing certified organic ice cream, technically more like ‘gelato’. He made it using locally-sourced organic raw milk which he pasteurized himself (wow), fresh organic free-range egg yolks, organic cane sugar, and flavoured with ingredients such as vanilla bean, cocoa, Queensland tropical fruits like guava, mango, banana and passionfruit. He is a wealth of knowledge about the art of making ice cream the traditional way. You say ice cream, I say gelato … it’s somewhat of a contentious subject, but apparently, originally ice cream never contained cream, just full cream milk. Purist ice cream makers in Italy and Germany only ever used whole milk (what we might call ‘gelato’). It was the Swiss that added the cream in, with all their happily fatted-up Jersey cows, and since then the Americans adopted this fattier version. But as Luigi notes, there are a million stories and ‘definitions’ of what gelato is and what ice cream ‘should’ be made of, so to keep it simple, he labeled his product ‘frozen dessert’. History. What most ice cream makers do agree on is the fact that the first frozen desserts were made in China, using snow and fruit juices. From there, Arabs imported the tradition to Italy and then the Gelato was exported to France thanks to Italian duchess Caterina de’ Medici, who married the Duke of Orleans (Henry the II of France) in 1533. She brought to France her personal expert in creating frozen delicacies, or Gelatiere. 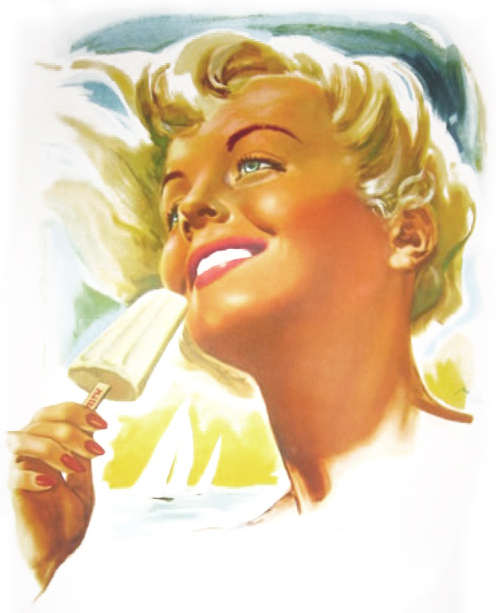 The Gelato started spreading through northern Europe, soon becoming a viable industry, thanks also to many other people who contributed with developing new recipes, manufacturing methods and inventing equipment and machinery. Things changed about the quality of the gelato after the second world war when industrial ingredients became available and food was manufactured in mass quantities. Things like carrageenan were introduced: it gives thickness, bulkiness and ‘inflates’ the product. With that came manufactured sweeteners and factory farming of animals that produced an inferior quality milk and egg. What was once a quality nutritious food became the junk food we know it as today. * Avoid foods containing “gums“, guar gum or carrageenan (a common thickening agent, toxic, vegetarian alternative to gelatin, code: E407 / E407a). These block liver detoxification as they inhibit Cytochrome P450 which is the enzyme that drives Phase 1 detox. Also interacts with gut bacteria, produces PMS symptoms and autoimmune disease, increases inflammation and toxic free radicals. Make sure your yoghurt, cream, ice-cream, coconut cream and cottage cheese contains no carrageenan or ingredients ending in “gum.” You’ll be shocked how many foods they’re in, including “organic” coconut milk and some “biodynamic” yoghurts. Here and here are links to just a couple of the dozens of scientific studies on the damaging effects of carrageenan. More here and here too. Bringing back traditional standards and honest food. Luigi learnt the craft of making ice cream from his Italian uncle in Germany as a teenager. When he moved to Australia with his wife Carla in the late ‘90’s they saw an opportunity: the ice cream they tasted here was disappointing and saw exactly why it had come to be considered junk food. 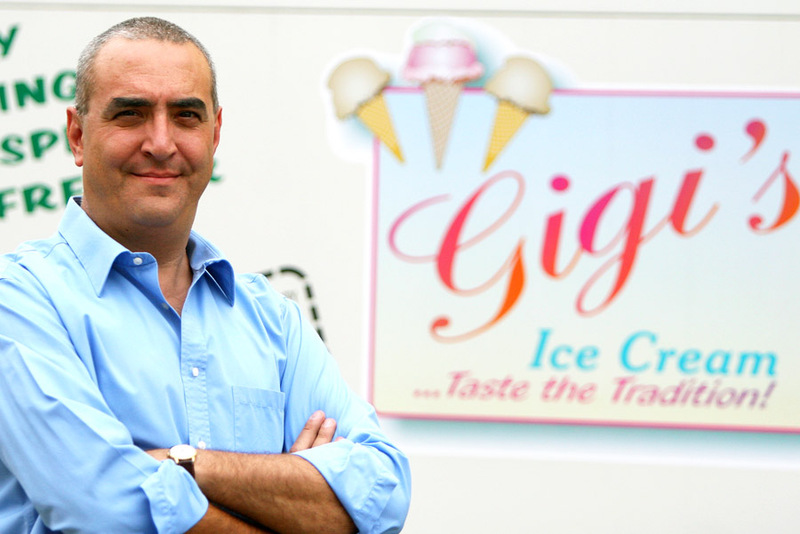 In 2003 they started Gigi’s; Australia’s first organic ice-cream company. They were stocked in selected organic and gourmet food stores around the country (Luigi often driving the product interstate himself to deliver it fresh) and even overseas. Nine years later sadly he closed the business due to too much “red tape” and increasing costs of using such high quality ingredients. Luigi was not willing to cut corners or produce anything less than the authentic high quality recipe passed on to him from four generations of gelato artisans. A perfect food. Luigi told me that ice cream, gelati, gelato (whatever you want to call it) in its traditional form, need only consist of four ingredients: milk, cane sugar, egg yolk and something for flavour (fruit or cocoa or espresso or vanilla bean etc). Looking at the nutritional panel of his Gigi’s Vanilla Dessert label, one serve constitutes 26g carbs, 4g protein and 4g fat (3% total). This kind of milk based recipe makes it very different to the high fat varieties we mainly see on the market (more than 50% fat). If you ate this with some homemade fruit jelly (made with the best gelatin) you’d have a pretty perfect macronutrient balance. And when the milk and eggs used are of such high quality, it’s a nutrient-dense meal in itself in a highly digestible form. My personal preference is grass-fed Jersey or Guernsey milk as a base; but use whatever milk you digest best. An ice cream like this is an excellent food for lowering stress hormones, regulating blood sugar, inducing sleep, supporting thyroid hormone conversion (T4 to T3), and increasing metabolic rate as found by Ray Peat PhD. No wonder ice cream in general tops the list of most people’s ideal ‘comfort food’ and generally induces happiness in kids and adults alike. My idea of a health food. Become an ice cream detective. Look closely at the ingredients on your favourite ice cream packaging, and ask for an ingredients list at your local gourmet ice creamery (notice you don’t see their full ingredients list on the wall, it’s because they don’t have to by law; hmmm). Ask questions, as you should of all your food producers, and know exactly what you’re eating. The kind that Luigi made is something I’d classify as ‘food’; nourishing and restorative; something that I could eat daily, happily. The best Gelateria I’ve come across is Piccolina in Melbourne. If you find another that doesn’t use any of the gums and stabilisers, please let me know! Make your own. Ice cream makers are cheap and easy to use, and for an even simpler option, use a no-churn recipe. Experiment with old-fashioned recipes and then you can hand pick the best ingredients. The addition of coconut oil makes this ice cream particularly thyroid-supportive. Heat the coconut oil on the stove until liquid and warm but not bubbling (about 40-50 degrees celsius). In a blender (*I use a high powered Vitamix) put in the sugar, egg, vanilla and skim milk powder. Pour in the warmed coconut oil and blend on high until all the ingredients are very, very well incorporated. Optional: *At this stage you could add additional ingredients for flavor, such as espresso powder, cocoa powder, chocolate shavings, fruit etc. 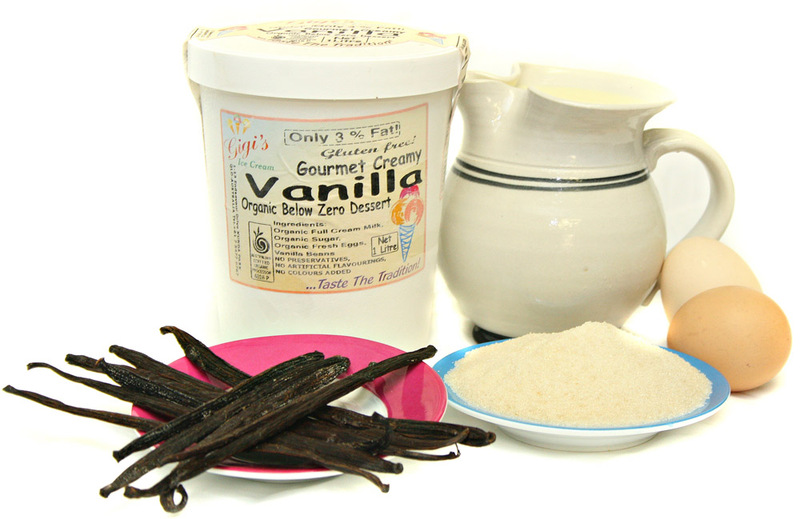 Pour into an ice cream maker to churn. When it’s ready, transfer straight into a container and freeze. I’ll read a packet and get back to you. Yes, and now it’s available in Australia! Great post Emma! I’ve been on the look out for a “pure” ice cream for ages, even Kohu Road seems to have varieties with added nasties in them. I make ice cream at home using stewed peaches, eggs and milk – lovely flavour but am yet to perfect the texture. Thanks Nat, and your recipe sounds amazing! Yes, getting that light creamy finish seems to be the trickiest part. Gelato messina in Darlinghurst; amazing! Yes great place Geraldine, but unfortunately not so great nutritionally. Among their ingredients: Maltodextrin and E 410 Locust bean gum. Definitely interested. I had the same craving when pregnant. Please keep me posted. What a good read, thank you for sharing! It’s so hard to find a healthy dessert option without all the bad additives and preservatives. I’ve abandoned traditional ice cream in favour of a brilliant discovery of coconut ice cream (CoYo). 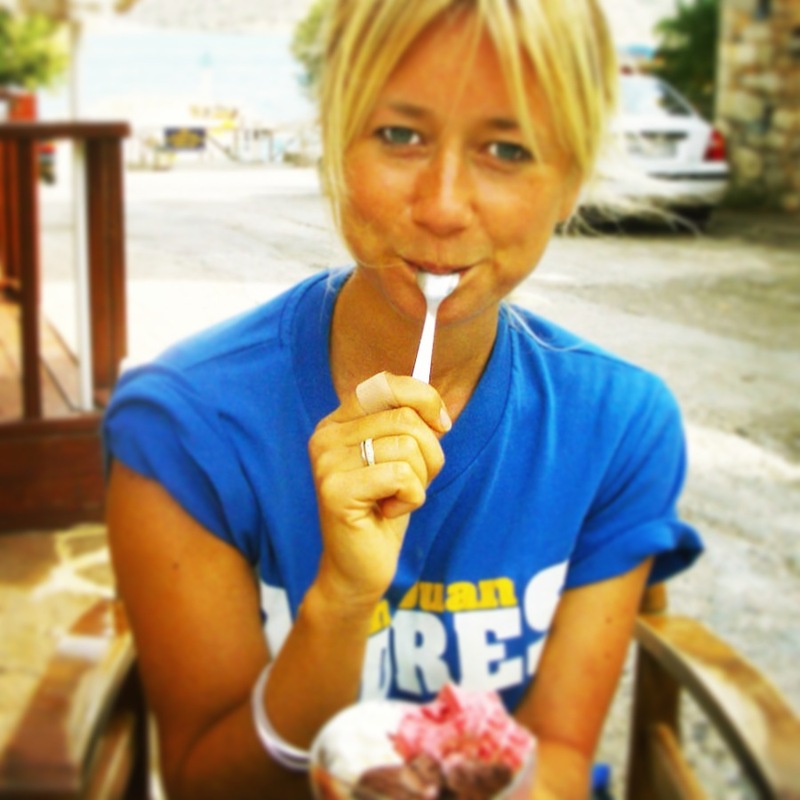 The company produces dairy and gluten free yogurts and ice creams which are amazing! I Knew it was good for me! Always learning from your blogs! Love this post. Workshops would be an excellent way to create delicious treats. A bonus would be being how to make healthy treats called food. Plus at last be inspired to put those often unused ice-cream makers to nutritious use. Thanks Emma. Until I got pregnant I was never a fan of ice cream, could take or leave it.. When pregnant and still almost 2 yrs later I’m mad for it and since starting down the whole foods path last year I started making it myself because once I started reading labels it became glaringly obvious that what was available was far from actual ice cream. As an employee at an organic food retailer in QLD, I have come to be disappointed by the quality of even organic icecreams (although they are vast improvements on generic supermarket options!). There is such a market for a good quality (amazing that he used to pasteurise his own dairy!) icecream. I once watched an episode of Cheese Slices with Will Studd – he was somewhere in Northern Europe and was eating raw goat icecream! I’ve been meaning to try and recreate this recipe and am currently scouring the internet for ideas! Emma, Gigi’s had 4grams of fat 3%, but the recipes I find are high in fat. With the recipe you’ve listed how many servings does it make? Maybe my serving sizes are just too big? Thank you. Yes thats the thing Helen; so many recipes and ready made products are predominantly cream (essentially just frozen fat), whereas traditional gelato was mainly just milk emulsified with egg yolks. Look out for gelati recipes that contain more milk than cream. I like the addition of the powdered skim milk (as is in my recipe) as it adds to thickening up the texture even more. Gosh I couldn’t tell you really how many ‘servings’ a batch of mine makes, really depends on your appetite and fuel requirements in that moment … sometimes for me a serving is maybe half a cup, sometimes a cup or more … A batch makes probably about 4 cups total (roughly).